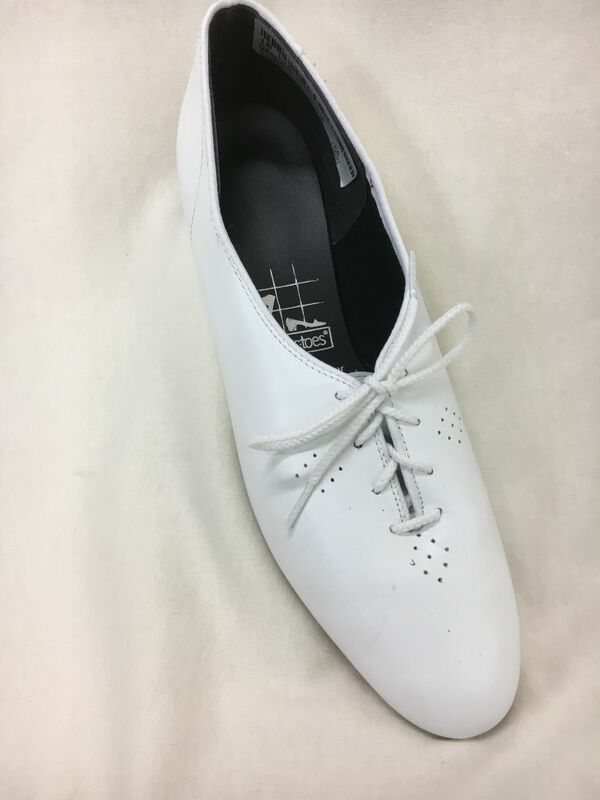 The Dancer is a available in Black, Bone or White Leather in American ladies sizes 5-12 medium width and 6-12 narrow width with a 1/2″ Heel. It has a sueded sole and a wooden uncovered heel. Suggested fitting is the street shoe size.